As a parent, you want to equip your children with the tools they need to succeed in life. However, with all of the extracurricular activities available to kids these days, it can be hard to determine which activities will provide them the most benefits. Before you dismiss the idea of placing your child into music lessons, first consider some of these benefits and why so many parents are discovering just how much music can assist in their child’s development. Parents are discovering just how much music can assist in their child’s development. 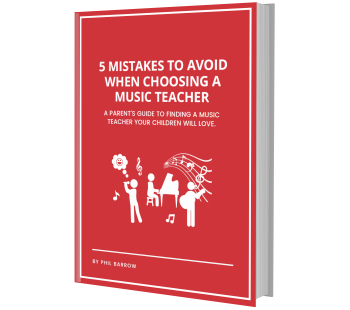 Music lessons teach children to accept feedback in a constructive way. It teaches them to recognize that they can learn from receiving constructive criticism. When we learn from an early age to cultivate feedback into positive change, it can foster better self-esteem and confidence. This is also a great way to teach your child how to provide constructive criticism to their peers in a positive and encouraging manner. Taking music lessons improves children’s ability to focus and concentrate. That’s because playing a musical instrument requires a significant amount of practice, dedication, and patience. When children take music lessons, they learn to develop the discipline needed to excel in life. They also develop their perseverance by taking part in an activity that is constantly challenging them. Musicians quickly learn that discipline and practice can pay off in all areas of life. It’s been proven time and time again that taking music lessons provide a number of cognitive benefits. Students who received music lessons on average scored 34% higher on tests, indicating that music uniquely enhances higher brain functions required for mathematics, science, and engineering. If that’s not enough to convince you, it’s been demonstrated that after just nine months of weekly music lessons, young students’ IQs rose nearly three points higher than those of their untrained peers. No matter what musical instrument your child decides to learn, it will require strong coordination and dexterity. Learning an instrument at an early age assists in the development of movement and hand-eye coordination. Each time a student practices their instrument, they strengthen their muscle memory and stimulate their brains through repetition. These skills carry over into other areas of life, such as in athletics and even non-verbal communication. Playing music can be an extremely powerful form of therapy for children. It has been shown to reduce stress and anxiety more than other creative art activities. Participating in music lights up pleasure-centres in the brain that help regulate mood. As a result, adults who grew up taking music lessons are less likely to experience anxiety, loneliness, and depression. As you can plainly see, there are numerous benefits to placing your child in music lessons. Learning to play music can be a wonderful way for children to become the most happy and confident versions of themselves. Parents everywhere are discovering how much of a positive impact taking music lessons can make in the lives of their children. Are you interested in music lessons for your child? Resound School of Music offers personalized at-home music lessons in Vancouver, Burnaby, Coquitlam, Surrey, and Langley. We hire only the best local music teachers so that you can relax and watch your kids succeed. Contact us today to request a free in home consultation!